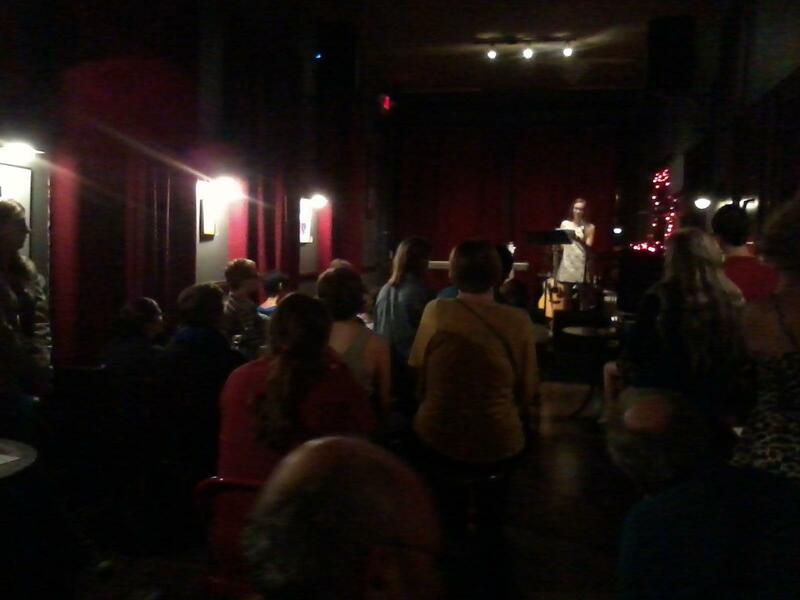 Recently, I experienced yet another amazing night of live poetry at Rozz-Tox cafe. It was the kickoff of the new season of the SPECTRA poetry series, sponsored by the Midwest Writing Center. It was a female-fueled evening and featured two guest poets, Dora Malech and Jennifer Perrine. Local female poets started the evening out with their poems, and an upbeat, all-female band, the Busted Chandeliers, bookended the evening. As I sipped my lingonberry juice, an electric buzz move up my spine, entered my brain– inspiration–a breathing in of the energy of ideas, but also a corporeal experience. I noticed some poets in the audience with their notebooks, jotting down key phrases, or poetry ideas that popped up into their heads. At least I assume this is what they were doing; I’m doubtful one could write a grocery list in the middle of such a physical experience. Physical: sometimes like a punch to the gut, or roiling stomach acid. Sometimes it was euphoria of a shared sense. An idea for a color poem moved from my body to my brain. Here is an example of a color poem by Christina Rossetti. I’d better get to it before this feeling passes. These poets have set a high bar. The next SPECTRA poetry event takes place on October 10, 2013. It will begin at 8p.m. at Rozz-Tox.